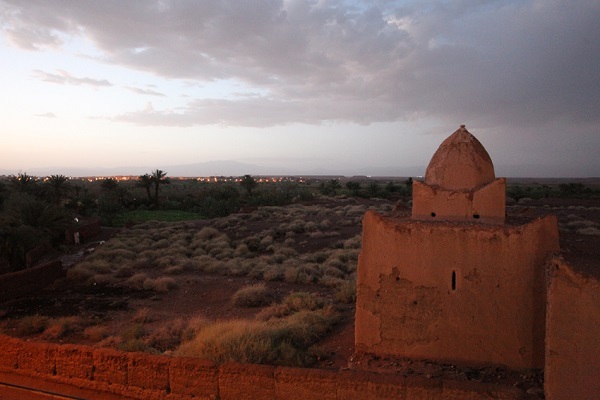 Dar Daïf is Zineb and Jean-Pierre Datcharry´s life dream, on the outskirts of Ouarzazate it is a refuge of silence. 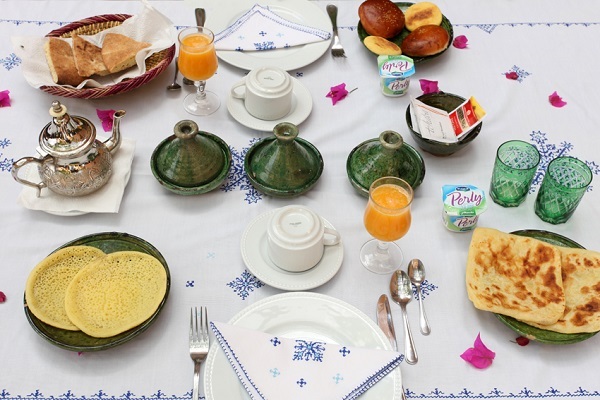 Dar Daïf has been given quality seals such as Clef Verte or the HACCP certificate for Food Hygiene. 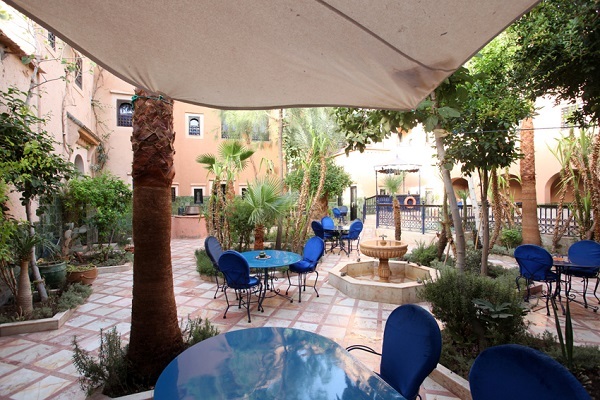 This is a meeting point for adventurers at the edge of the desert, families who are not contempt with Marrakech and cinema lovers, looking for sceneries of films like Gladiator, Lawrence of Arabia and many more. 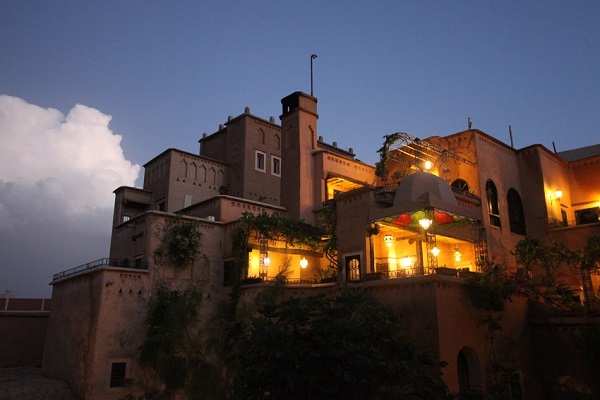 The building respects a Berber atmosphere in its architecture, in its cooking as well as in details such as offering babouches (Moroccan slippers) to wear inside. 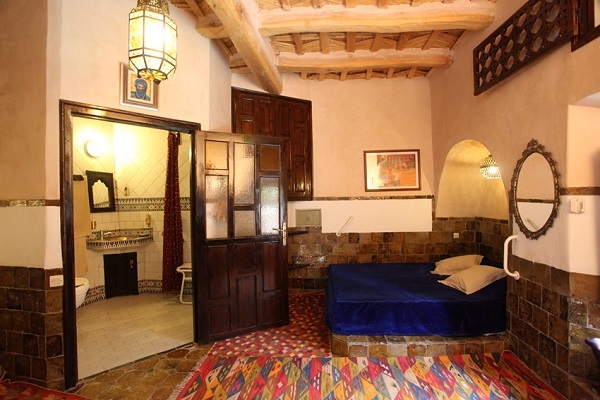 The hotel has evocative rooms, like a suite with a hammam like bathroom, with green and brown Tamegroute tiles as in most of the building. 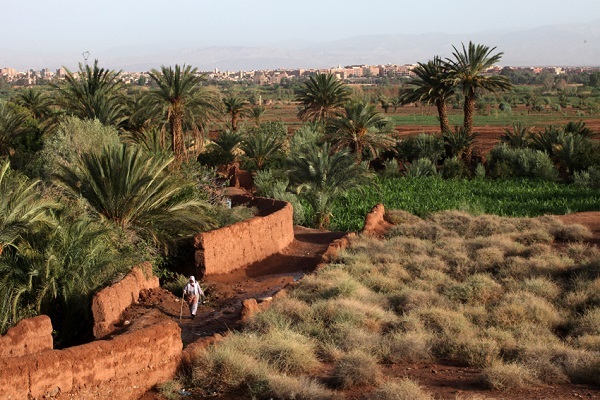 From our room we can spot the town, and in between, fields combining maize, pomegranate and henna, among palm trees scattering the landscape. The whole of the ground floor is accessible to wheelchairs, although for the time being there is no crane for the swimming pool. 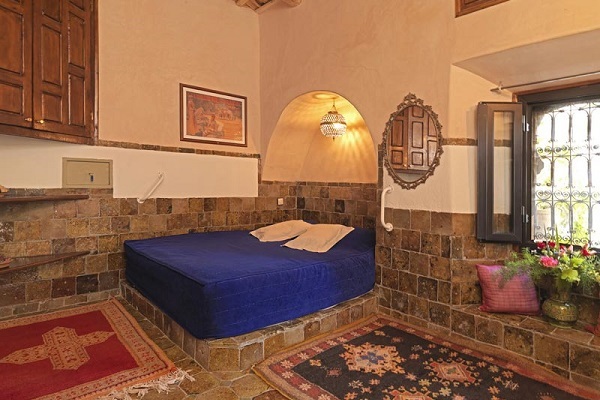 One room perfectly adapted for wheelchairs, with a generously sized bathroom. There is a project for a lift. Signage in Brail and relief around the hotel, and in the room of any client who should require it. 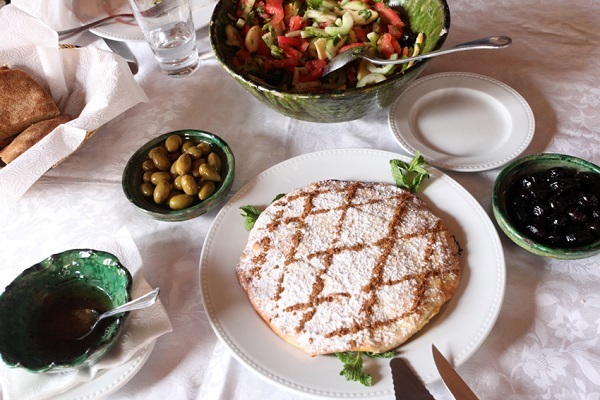 Jean-Pierre and Zineb are experienced mountaineers, deep connoisseurs of the Atlas Mountains and the whole country. 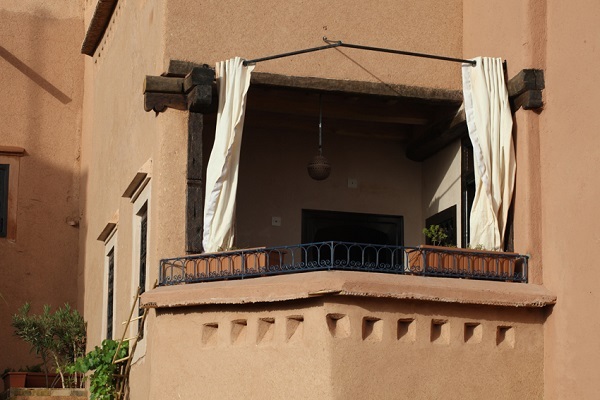 They organize excursions through the Drâa valley and all the Atlas mountain range, in hotel owned 4x4 and on foot, even dromedary caravans between the Mediterranean coast and the Mauritanian frontier. 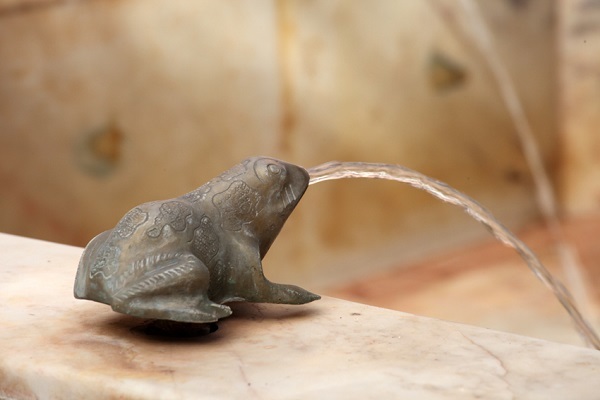 In the hotel there is a swimming pool and a Hammam. 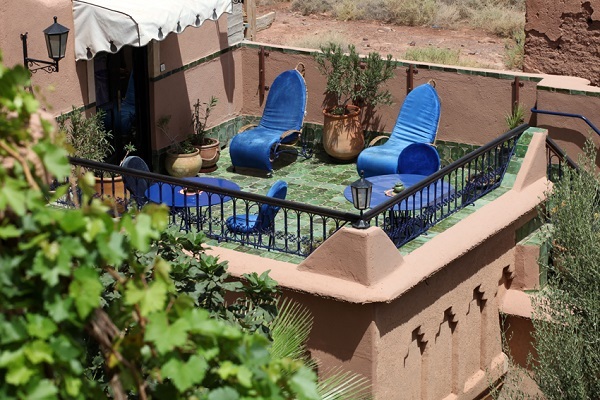 We also have a Joelette available, for strolls through the countryside and the mountains, for older people or persons with reduced mobility, as well as a chair adapted to ride dromedaries and go trekking through the desert. 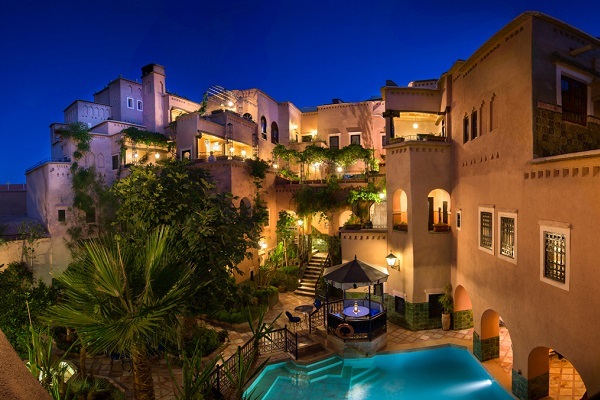 In Ouerzazate, the beautiful Taourirt Kasbah, the Cinema Museum (opposite the Kasbah), the film studios at the outskirts of Marrakech. 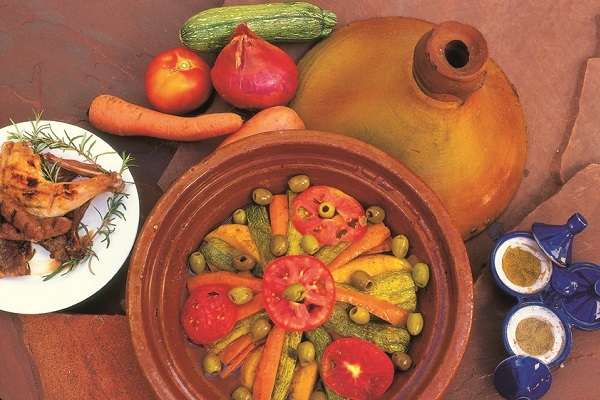 Half an hour away towards Marrakech, something essential, the Aït Ben Haddou Kasbahworld heritage, and Laurence of Arabia scenery. Half an hour towards the north east, the Skoura Palm grove is a natural wonder. Date syrup, fresh dates, carpets, pottery, honey, minerals and fossils, silversmithing.